After our short visit to Hopiland we crossed back into Navajoland. 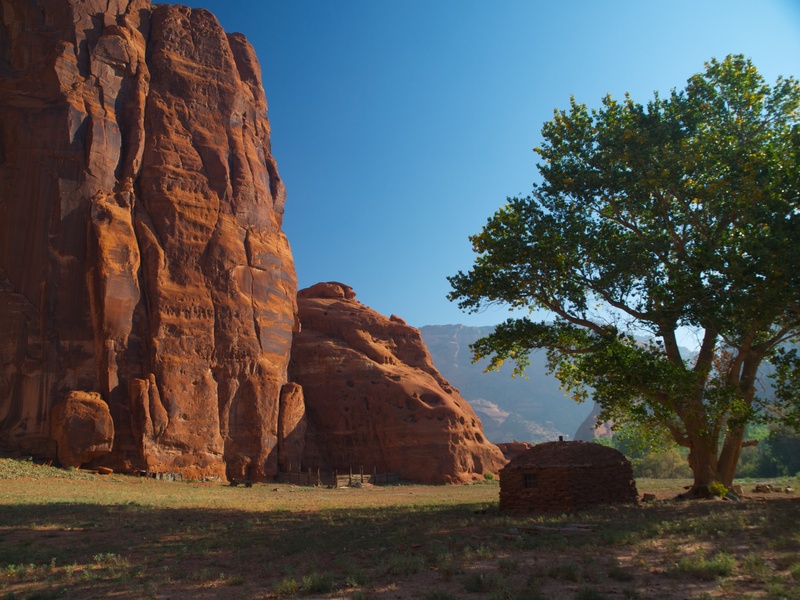 When we drove into Canyon de Chelly that morning it was smoky because of a control burn on the nearby Fort Defiance plateau..
We wanted to revisit Canyon de Chelly, a place we rode horses into years ago, and used to visit frequently when we lived over the mountain in Fort Defiance. The canyon was the stronghold of the Navajo and there are more stories than we can tell here about invasions of both the Spanish and later the Americans under Kit Carson. Andrew Henry used to play around this hogan door in Canyon de Chelly. Henry said despite the fact that his grandparents didn’t think a white man’s education was necessary, he and other children his age spent the winters in government-run boarding schools where paddlings were not unusual. Henry completed high school but his own children are getting college educations. We saw a number of horses in the canyon but only a few sheep. Henry said that only a few families live there anymore. Years ago, Henry was part of the excavation teams that helped catalogue and shore up the ruins of the Anasazi (ancient pueblo people who preceded the Navajo) in the numerous caves of the Canyon. As we drove past ruins and petroglyphs he told us that he knows where huge ancient pots are and where the human remains lay undisturbed. He and the researchers who studied the ruins left everything as they found it, Henry because of their sacred nature and the researchers in the best interest of science. 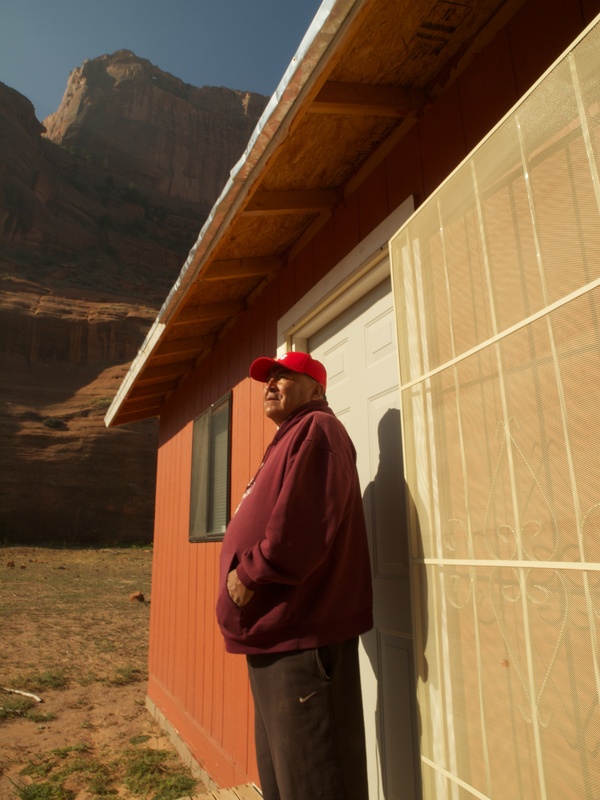 Henry will never return to any of the ancient sites because working around them makes him ill, what the Navajos call “ghost sickness.” He said he spent almost everything he earned paying for traditional Navajo cleansing ceremonies. Andrew Henry at the house where he and his wife Bessie hope to grow corn again someday. College groups and church groups have helped the Henrys build a little house and other improvements at the old homestead of Bessie’s grandfather. They are thinking of spending their summers there again when they retire so they can plant corn and maybe even sheep. Andrew travels all over the country to show his jewelry and Bessie sells jewelry at one of the overlooks all summer. 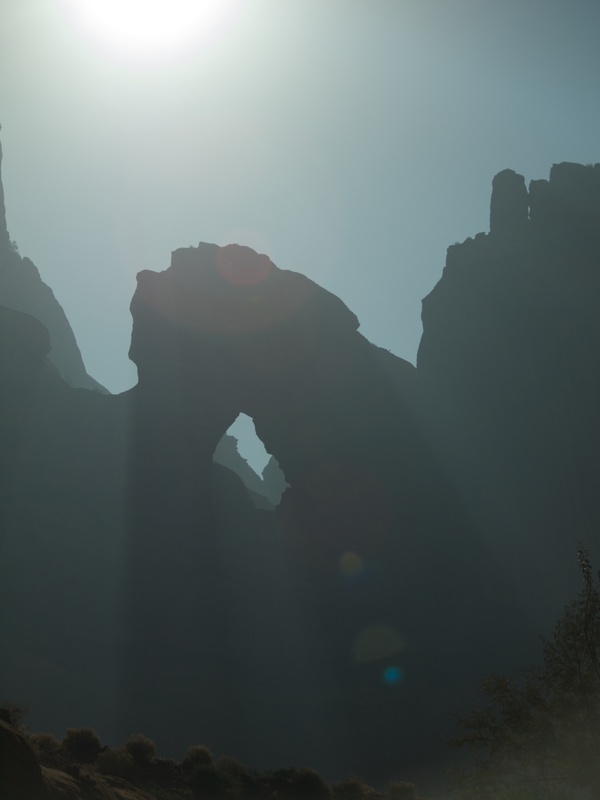 We had seen Spider Rock from the overlook many times but Henry took us to a beautiful place at the base. We couldn’t stop thinking about our three girls, who like all Navajo children, used to believe that this was the home of Spider Woman. She taught the people to weave and play string games but would sometimes take bad little children to her lair on top of the rock and eat them there. That’s why the top of the spire is bleached white from the bones of all those children. The next day we worshiped with the congregation at Trinity Presbyterian Church in Chinle, led by Rev. Constance McIntosh. We were thoroughly impressed by the honesty and intimacy of the congregation. Clearly, Rev. McIntosh has won their respect and trust. She has made a lifetime commitment to her ministry and from what we can see has brought a lot of stability, wisdom and innovation to a troubled neighborhood. McIntosh is a minister with rare gifts and has plans to turn some of the old church buildings into shelters, offices and a retreat center. We hope to stay in touch with her and her work in Navajoland. When our girls were little they called these the King and Queen rocks. 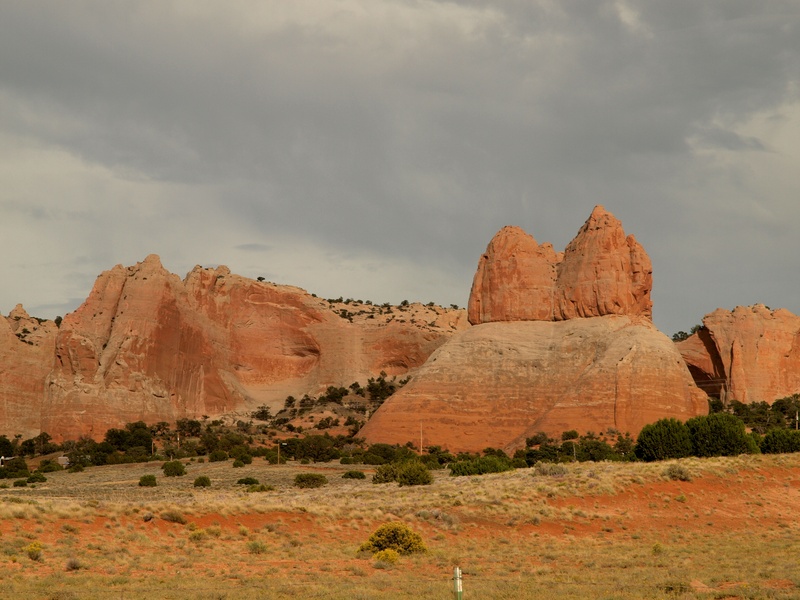 They are by the road between Fort Defiance and Window Rock. From Chinle we went to the Fort Defiance/Window Rock/St. Michaels area near the Arizona-New Mexico border to visit with old friends for a few days, some of whom we had not seen in years. It was great to catch up and reconnect in person (some of them reminded us of things they remembered about our family when we lived there, while we got to see how their own families had grown and changed over the years). 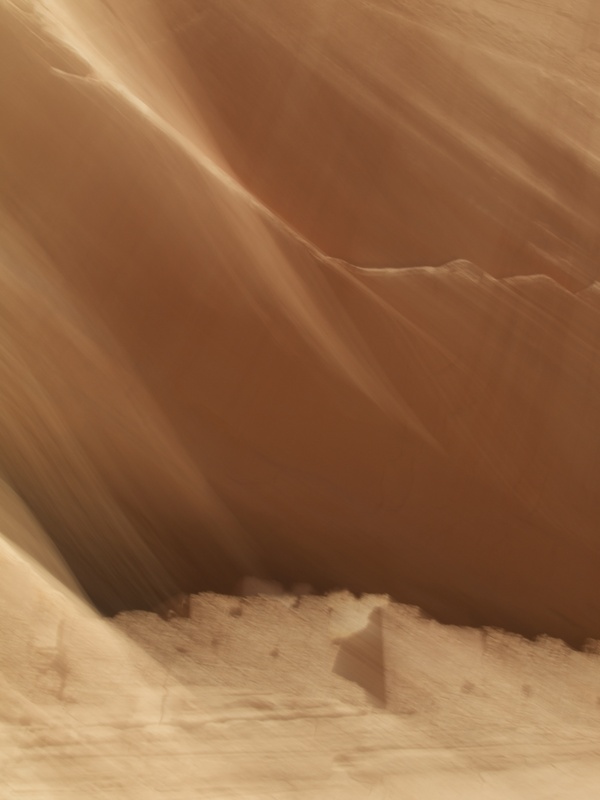 What wonderful memories and descriptions of present day in Canyon de Chelly!